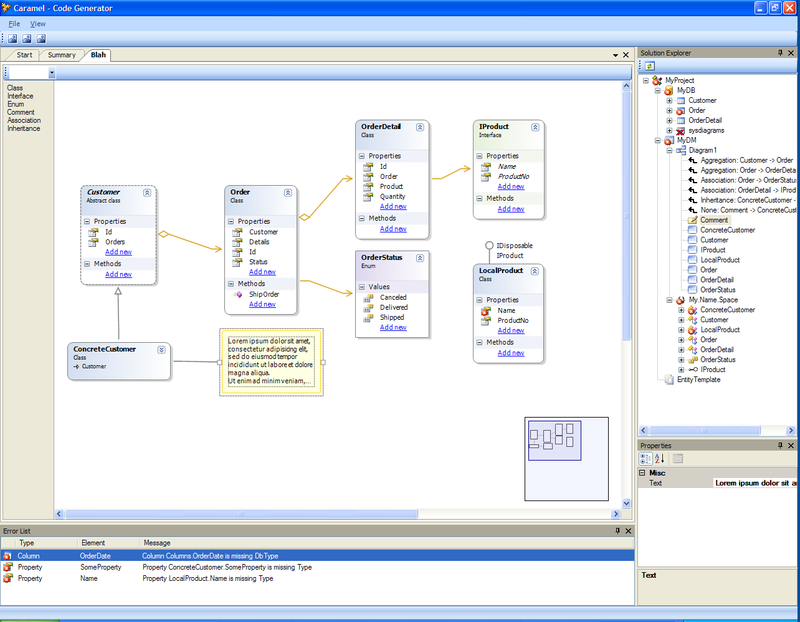 I’ve been working some more on the UML editor for Caramel. I was wondering, as parsing is your fetishism, if you had written an OCL parser/converter ? As you know, I am working on my side on an uml designer component (if you looked at it, you know it’s faaaar from finished), and I chose to stay close to UML notation (or at least try, I am in no way expert). And after many search hours, I found no free .net OCL parser… I was hoping for a .net port of the dresden toolkit, but there is none. Thank you anyway for all the fantastic things you give to the community !